The news that ExxonMobil is about to start up its massive new PE plant in Singapore has moved to the forefront in Southeast Asia’s PE markets as per the pricing service of ChemOrbis. Having started-up a new steam cracker with an ethylene capacity of 1 million tons/year at the Singapore petrochemical complex in early January, the producer is now preparing to bring its new 1.3 million tons/year PE plant on stream in early April. This huge capacity consists of one LLDPE plant and one HDPE/LLDPE swing plant, each with a capacity of 650,000 tons/year. Apart from the cracker and the PE units, the complex also houses a 450,000 tons/year PP unit, a 300,000 tons/year elastomers unit and an aromatics extraction unit with a capacity to produce 340,000 tons/year of benzene. There is no recent news about the status of these plants. 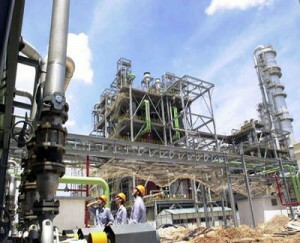 Players in Southeast Asia are now closely watching the approaching start-up of these PE plants. Trading activity is already limited in the PE market as most buyers are sticking to the sidelines in anticipation of seeing further decreases for April. “We do not expect to start seeing large scale offers from the new Exxon plant before May and we believe that several Middle Eastern producers will also need some time to restore normal production following their recent re-starts. Therefore, we believe that supply will be a bit tight in April and that this will prevent any large decreases,” a trader based in Singapore reported. The PE outlook for April is bearish in Southeast Asia, according to many market players. Players are closely tracking the supply outlook now that Exxon’s massive new PE plant in Singapore is about to come online, but players are not expecting to see any major supply increases immediately, at least for the coming month according to ChemOrbis. "The “KMD 78” at the Chinaplas 2013"